Acupuncture has endured the test of time for thousands of years in China. In the last millennium, it spread to China’s neighbouring countries like Japan, Korea and Vietnam. And lately it is gaining popularity steadily in the west, all for very good reasons. First, acupuncture is very powerful, versatile, and yet simplistic to the extreme – all one needs are acupuncture needles, cotton balls and alcohol. In an expert acupuncturist’s hands, it can bring health benefits to just about anyone for any illness. The World Health Organization recognized acupuncture’s therapeutic value in treating hundreds of illnesses in 2003. Studies have found out that acupuncture can be used to treat both physical and mental illnesses. It is also useful for treatment of chronic diseases. It helps in improving memory, boosting immune system, and in regulating hormones. Many people have reported that they get relief from headache, back pain, joint pain, insomnia, stress and fatigue after completing prescribed acupuncture sessions. It restores energy and increases overall stamina of the body. Second, acupuncture is extremely safe and has virtually no side effects – if carried out by an experienced and lisenced acupuncturist. The NIH (National Institutes of Health) has reported that acupuncture has lower adverse effects compared to the prescribed medications and other medical procedures followed for treatment of the similar conditions. Third, acupuncture can be an effective complementary therapy to treat some of the most complex and difficult diseases, such as severe migraine, cancer and infertility. As a matter of a fact, pain control, integrated oncology and infertility treatment are probably three most applied fields for acupuncture in the USA and Canada. Historically, Traditional Chinese Medicine has five healing techniques: acupuncture (针灸), herbal medicine (中药), massothreapy(按摩), dietary regulations (食疗) and therapeutic exercises, such as Tai Chi (太极), Kong Fu (功夫) and Qi Gong (meditation, 气功). In clinical practice, herbal medicine is much widely used in China. In addition to it long historical use, herbal medicine is effective, versatile, easy to take, economical, accessible and acceptable. There are many Chinese medicine doctors in China use acupuncture rarely or not at all. The herbal medicine is not in the required curriculum in many Acupuncture / Traditional Chinese medicine schools. So it is not widely taught, therefore not widely used. As a result, not many patients have benefited from herbal medicine. The effective application of herbal medicine is relatively easy to learn, but quite challenging to master. In north America, due to the limitation of the educational system and working environment, most of the acupuncturists do not have the opportunity to follow a master or work with experienced practitioners for a few years to nurture their skills and building confidence, after their graduation. For most of them, a weekend seminar or two per year is all they get for their professional development. As a result, some acupuncturists don’t use herbal medicine at all, while others can only use pre-packaged Chinese herbal formulas to supplement acupuncture treatment. The safe practice of herbal medicine has been continually documented over many thousands of years and reports of adverse reactions to herbal medicine are extremely rare in clinical practice. Most of the reported cases are caused by poor quality control of herbs (reports of heavy metals, pesticide residues…) and misuse of herbal medicine. Take Ephedra or Ma huang (麻黄）, for an example. It has been safely used for thousands of years to treat asthma, hay fever and cold in TCM, but misused in dietary supplement industry. As a result, it tarnished the image of Chinese herbal medicine and it is currently banned by USA FDA and Health Canada. With expereience and careful adiministration, the risk of complications from herbal medicines are minimal. These three therapies often supplement each other, so the speed and quality of recovery can be greater in many cases. Patients will benefit fully from the herbal remedies, when prescribed and composed to address their individual needs. We will obviously provide patients with the exact treatment they ask for, but it is really better for patients to listen to our recommendation, whether it is acupuncture, massotherapy, herbal therapy or any combination of these three. After all, we have many years of experience of treating wide variety of illnesses, and you may only have preconceived notions of certain therapy. To dictate a therapy before consulting with us is the equivalent of telling a plumber you hired to do his work only with left hand or right hand – you may not get the full benefit of what you paid for. In the past two thousand years, the development of acupuncture went through many ups and downs in China. Due to the overwhelming predominance of Western medicine in all aspects of health care in China, the biggest challenge for the future development of acupuncture and Chinese medicine in China is to keep its integrity and core strength （望闻问切 辨症施治）. Chinese Medicine and Western medicine have very different perspectives and treatment techniques for all illnesses and they have been proven to have their own strengths and limitations. We are firm believers of an integrated medicine, where Chinese Medicine and Western medicine work together harmoniously to provide the best care for our patients. It is remarkable that the trend of integration is progressing rapidly in main areas, such as, pain control, integrated oncology and infertility treatment in North America. In our personal experience, the openness to acupuncture and Chinese medicine from the medical establishment is nothing less than spectacular. Just 10 years ago, I might only get one to a handful of patients referred by Western medicine health professionals. And today, over 30% of my patients are referred by various medical professionals. From a public health point of view, the integration of acupuncture and Chinese medicine to the mainstream public health system seemed inevitable, when more and more patients are benefiting from these ancient healing arts. They are effective, safe, without side-effects and a cost-effective treatment for many mental and physical illnesses. British Columbia became the first North America jurisdiction to provide public funded acupuncture treatment several years ago. In Quebec, there is a currently attempt to include acupuncture in the publicly funded IVF treatment program, because it is remarkably cost effective for all stakeholders – the provincial government, patients, western medicine fertility doctors and acupuncturists. 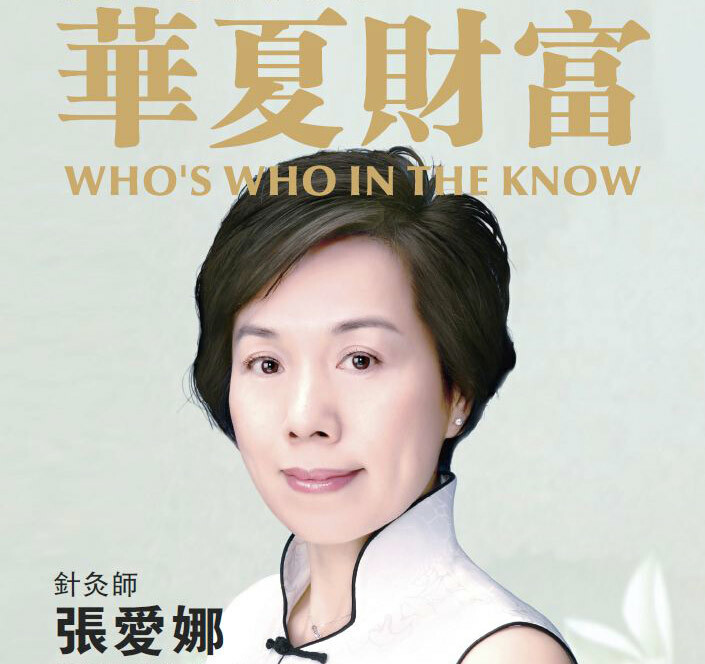 The greatest challenge for Chinese medicine practitioners is to integrate acupuncture and Chinese medicine to the publicly funded health care system without any disintegration from the core values and strength of acupuncture and Chinese medicine. In China, archeologists has found stone and jade acupuncture needles, Bian Shi (砭石）, dating back to 3000 B.C. in northern China. However, the first written reference of acupuncture was from The Yellow Emperors Classic of Internal Medicine (黄帝内经）, which dated back to 230 BC. The Yellow Emperor (黄帝), in a famous dialogue with his physician Qi Bo (岐伯）, discussed the whole spectrum of the Chinese Medical Arts. These conversations would later become the monumental text – The Nei Jing (内经). The Nei Jing is the earliest book written on acupuncture and Chinese Medicine. It was believed to be compiled around 230 BC by many physicians and it consists of two parts: The Su Wen （素问）or (Plain Questions), introduced anatomy and physiology, etiology of disease, pathology, diagnosis, differentiation of syndromes, prevention, yin-yang, five elements, treatment, and man’s relationship with nature and the cosmos. The Ling Shu (灵枢）or Miraculous Pivot focused on Acupuncture, with description of the meridians, functions of the zang-fu organs, nine types of needles, functions of the acupuncture points, needling techniques, types of Qi, location of 160 points. During the Waring States Era (420-220 B.C.) metal needles replaced the stone needles. Some gold and silver needles were found in an ancient tomb dating back to 110 BC. The Miraculous Pivot names nine types of Acupuncture needling techniques. Other historical Records had noted that many physicians were practicing Acupuncture during that period of time. Another milestone for this period was the compilation of the Nan Jing (难经）or Book of Difficult Questions in .The Nan Jing discusses five element theory, tongue diagnosis, eight extra meridians, and other important acupuncture aspects. It was the first major improvement made to The Yellow Emperors Classic of Internal Medicine. From 260-265 A.D., the famous physician Huang Fu Mi （皇甫谧）, organized all of the ancient literature into his classic text -Systematic Classics of Acupuncture and Moxibustion. The text is twelve volumes and describes 349 Acupuncture points.It is organized according to the theory of: zang fu, Qi and blood, channels and colllaterals, acupuncture points, and clinical application. This book is noted to be one of the most influential text in the history of Chinese Medicine. Acupuncture was very popular during the Jin （晋朝）and Northern,Southern (南北朝） Dynasties (265-581A.D.). For generations the Xu Xi family were known as the experts in the art of Acupuncture.During this time period important texts and charts enhanced knowledge and application. Acupuncture experienced great development during the Sui and Tang （隋唐）(580-907) Dynasties.Upon request from the Tang Government (627-649A.D. ), the famous physician Zhen Quan revised the important Acupuncture texts and charts. Another famous physician of the time, Sun Simio （孙思邈）, wrote Prescription with a Thousand Gold for Emergencies (650-692). This text includes data on Acupuncture from various scholars. During this period Acupuncture became a special branch of of medicine and practitioners were named Acupuncturists. Acupuncture schools appeared, and Acupuncture education became part of the Imperial Medical Bureau. During the Song Dynasty (960-1279),the famous physician Wang Weiyi wrote, The Illustrated Manual on Points for Acupuncture and Moxibustion. This book included the description of 657 points. He also casted two bronze statues on which meridians and points were engraved for teaching purposes. In 1950 Chairman Mao officially united Traditional Chinese Medicine with Western Medicine, and acupuncture became established in many hospitals. 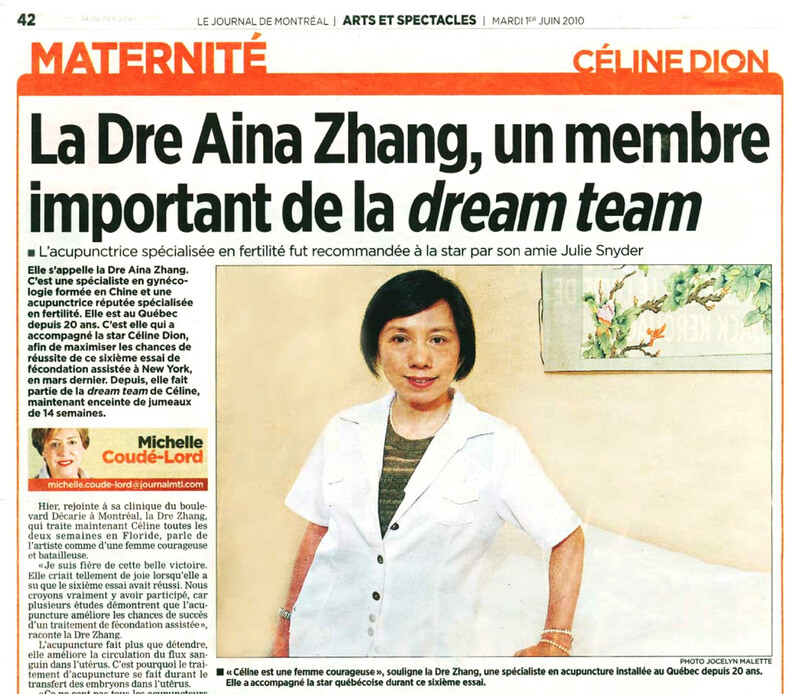 In the same year Comrade Zhu De reinforced Traditional Chinese Medicine with his book New Acupuncture. In the late 1950’s to the 1960’s Acupuncture research continued with – further study of the ancient texts, clinical effect on various diseases, acupuncture anesthesia, and acupuncture’s effect on the internal organs. 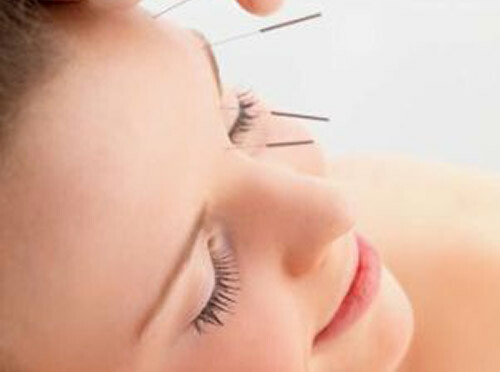 From the 1970’s to the present, Acupuncture continues to play an important role in China’s medical system. China has taken the lead in researching all aspects of acupuncture’s application and clinical effects. Although acupuncture has become modernized, it will never lose its connection to a philosophy established thousands of years ago. The safe practice of acupuncture and herbal medicine has been continually documented over many centuries. Reports of adverse reactions to acupuncture & herbal medicine are extremely rare in clinical practice. Most reported accidents and infections to organs or tissues appear to be related to violations of sterile procedure, negligence of the practitioner, or both. A systematic review of case reports on the safety of acupuncture, involving 98 papers published in the English language from 22 countries during the period from 1965 to 1999, found only 202 incidents. The number of incidents appeared to decline as training standards and licensing requirements were enhanced. Very few hepatitis or other infections associated with acupuncture have been reported since 1988, when widespread use of disposable needles was introduced and national certification requirements for clean needle techniques were developed and enforced as an acupuncture licensing requirement. For cancer patients, and other patients with a compromised immuno system, extra precautions must be taken and strict clean needle techniques must be applied when acupuncture treatment is given. Minor adverse effects of acupuncture, such as pain at needling sites, hematoma, tiredness, lightheadedness, drowsiness, and localized skin irritation, have been reported. These minor adverse effects can be minimized by appropriate patient management, including local pressing and massage at the needling site after treatment.